In the past few years, I have come to appreciate the River as a metaphor for, well, everything — for life, you could say. Or at least for a life I strive to live. Rivers are dynamic and constantly re-routing, but always steadfast on their course. Rivers strike strong balances — between simplicity and intricacy, patience and momentum, turbulence and serenity. Rivers have no choice but to keep flowing despite the obstacles dropped in their path. And, of course, rivers are soul-satisfyingly beautiful. 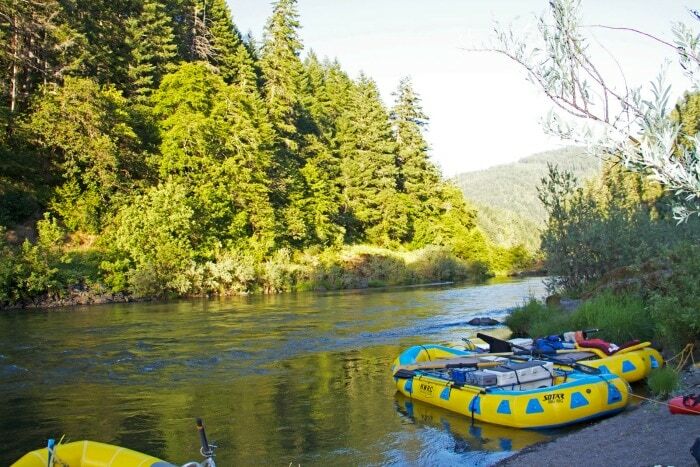 Last May I moved to Hood River to work in the office of a rafting company. It was a whirlwind of a move — applying for, interviewing, and getting a job just one month before leaving a town where I had spent seven very formative years. I had no idea what to expect. I was excited and terrified to be leaving the comfort of home, but I definitely had moments where I asked myself, “what the heck are you doing? !” While I’ve always had an impulsive streak, this was happening really fast. But just like a river, I headed downstream and hoped for the best. 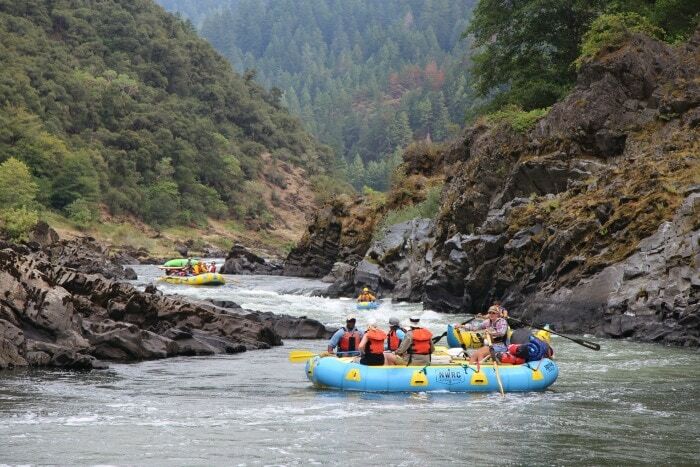 A few weeks after arriving in Hood River, I was given the opportunity to raft down the Wild and Scenic Rogue River. Perhaps one of the best introductions to Oregon’s majesty, spending four days on the Rogue surpassed all of my expectations (that’s another things rivers have taught me: to not have expectations!). 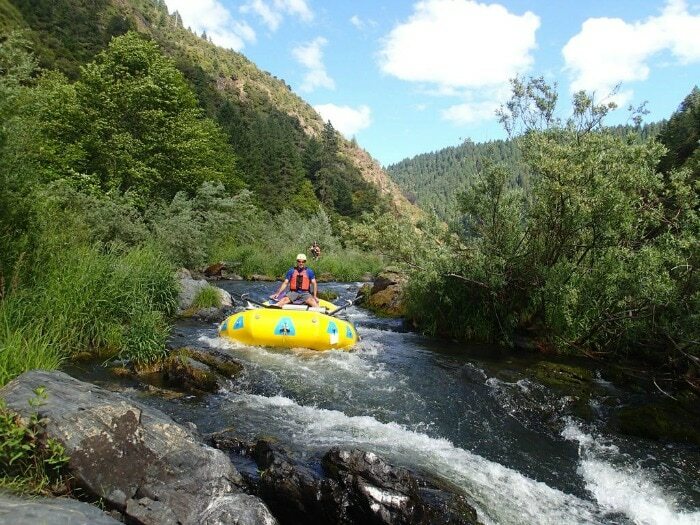 I had rafted a number of times in California, even being trained to paddle guide, but I had never been on a multi-day rafting trip. I couldn’t have been more excited to spend four days in the wilderness, on the water, under the stars, and away from a computer. I was participating in the rowing school my company offers and found the Rogue to be a perfect guide to my learning experience. The Rogue challenged me, wore me out, and jostled my nerves. But it was also gentle, with long stretches of flatwater where I could hone techniques, rest and chat with other boaters, or calm those nerves by meditating on the stunning scenery and wildlife. I learned the practical skills to row a variety of crafts in Class III rapids, but the Rogue taught me lessons that would have a more lasting effect. One day I was rowing a zippy little cataraft. It was small, fast, and very hard for me to control. This boat would spin on a dime and I was constantly fidgeting with the oars to try and recover any semblance of a good line down the rapids. About halfway through the day, while resting my weary arms in some riffle-y water, I found that the river was taking me down a decent line — and the oars weren’t even in the water! From there on out, I trusted the river to take care of me. If I saw I was headed where I really didn’t want to be going, I would make very small adjustments, but I didn’t have to continuously fight against the river. Letting go was the best form of control. I feel very lucky that my move to Oregon started with the opportunity to row down the Rogue. 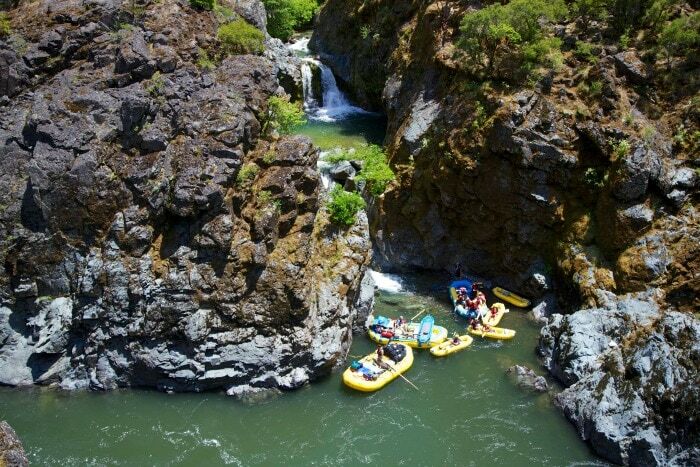 Each day spent rafting down this river offers new perspective and inspiration. It restored trust in my abilities to navigate the rapids that occur throughout this river we call life.